Whether you are setting up a new business or looking to expand an existing one, you will want to ensure you have the right vehicle to take you on your business journey. It’s important to determine the legal structure of your business from the outset as this determines your tax liabilities, how you profit from the business and your responsibilities should the company fail. (This article deals with the issues relating to the law in England and Wales). Sole Trader. An individual running a business. Partnership. Two or more people carrying on business in common with a view to profit. Limited Company. A legal entity in its own right. Family businesses. A company owned by a family. It can take any of the above forms but will normally be a limited company. • They are personally responsible for any losses and debts amassed. 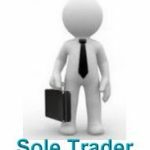 A sole trader can decide to stop trading at any time. They’ll still be personally liable for any debts incurred if they do stop trading but otherwise they are free to do as they wish. • All partners are liable for any losses or debts. You can set up a Limited Liability Partnership, which can limit some of the liability of the partners. 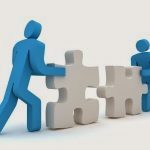 A Partnership should put in place an agreement from the outset of the relationship, which sets out the parameters of how the business will be run. This can also determine what will happen if there are conflicts in decision making and when a partner can be compulsory retired or expelled. Further, the agreement can set out how the Partnership can be wound up/dissolved. If you don’t have such an agreement, then it may be more difficult to resolve disputes, leaving you exposed to a decision on areas that you’re not happy with. Remember it’s never too late to put in place an agreement to formalise your business relationship. • Directors have a number of duties to the company. When a company is set up it should put in place articles of association, shareholder agreements and director service agreements, all setting out how the company will be run. These can then be referred to should a dispute arise. 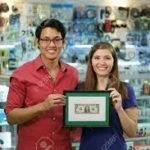 If you opt for an off the shelf company, one already set up, the risk is that you then have standard documents that have not been adapted to suit your business interests. Such companies also do not come with shareholder agreements. Investing in a tailor made company from the outset could save you money in legal fees later down your business journey should problems arise. Again, if you do not have documents in place for your business you could end up with a decision on how your company is run that you’re not happy with. 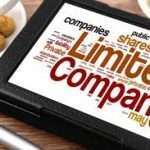 • In all other respects such companies will be the same as a limited company and have the same legal duties. Having in place a family charter or constitution can help set out the roles of family members and what will happen in disputes. Without formal documents, decisions may no longer be in your hands. One of the keys to a successful business journey is ensuring you have in place the right documentation from the outset. This ensures disputes are resolved early on, helping you prevent time and costs in dealing with them later. Remember, you can change your company structure at any time to fit your changing business journey.